I have been looking at some Quietways on my patch and have told TfL that unless they prioritise and protect cycling, then there is little point, despite them being quite direct. 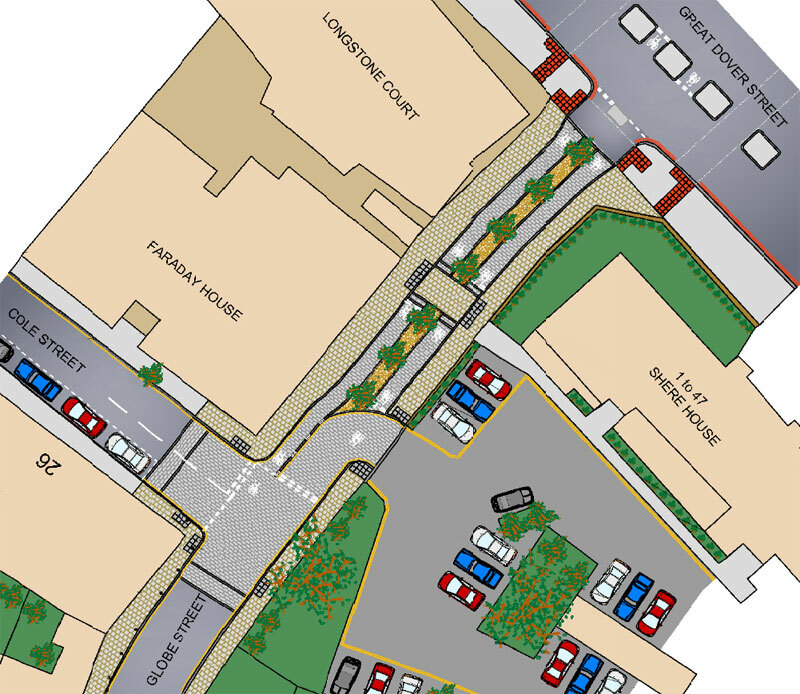 We have places where we need cycle traffic signal stages and new bridges which is more than paint’n’signs. That Southwark scheme looks like the wrong approach and I trust Gilligan will reject it. Send objections to him! I hope this scheme will be kicked into touch. All this route really needs are some bollards and entry restrictions to keep the rat-running through-traffic off it. 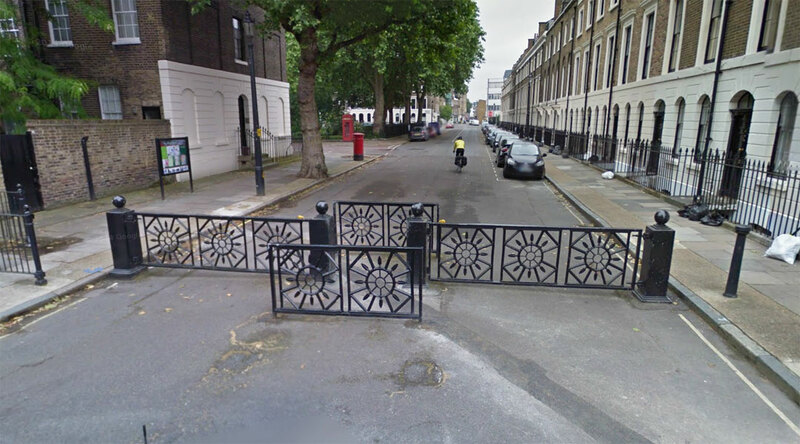 Genuine question: all these narrow gate restrictions, designed to keep out motorbikes – are motorbikes a genuine source of danger in places like that, or is it a case of another out-group who must be punished? by ways too. Absolutely excluding wheelchairs and trikes, self propelled, is mistaken, though petty. What other term can be applied ? “Cycleway engineers” would be fine as a sub class of highways engineers. You’re a bit like a church mouse saying he is god. Why bother? You’ve got different runs. I’m sorry, you’ll have to rephrase that, I have no idea what you’re saying. Yup, totally lost me too. I think Gareth may be a spam-bot. For what purpose, I have no idea. It may sound flippant, but that’s the truth isn’t it ? We know that poor infrastructure doesn’t attract people. Making journeys take longer than they should certainly isn’t a characteristic of cycling infrastructure which convinced people to cycle. Routes which don’t go near many peoples’ destinations also aren’t a great attractor. What people need is good old-fashioned go-everywhere convenience. We wait quite some time between each drip from the slow trickle of poor proposals coming from London, each of which seems to be accompanied by fabulous press-releases which reach right around the world. The whole thing adds up to a lack of real ambition for cycling to become a mass means of transport in London, though they’d clearly like to create the impression of progress. Thirty years ago I played an adventure game which would quite often print out the message “You wait – time passes”. That was thirty years ago. Has much changed ? I think that really is the truth – they are genuinely planning for low numbers of users. There’s no way it would be designed like this if they were expecting a big rise in bike use. London really is great at hype, and the illusion of progress. 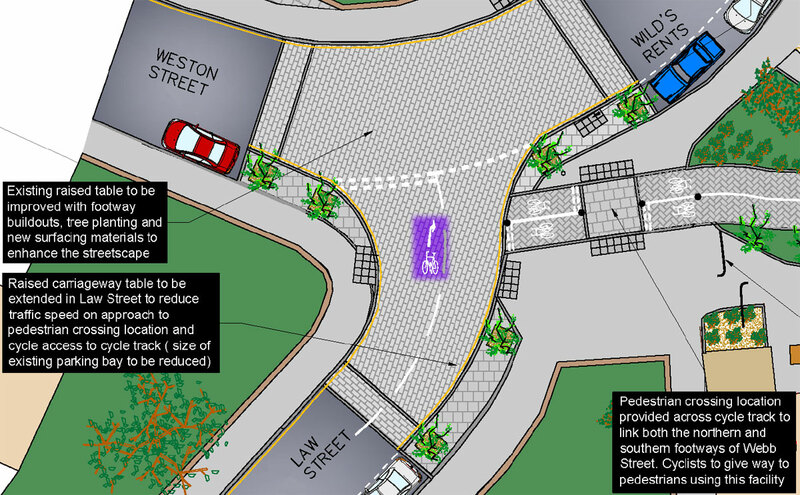 The section of these plans I’ve looked at offer no actual progress whatsoever – there’s nothing at all that would make me more likely to use a bike along there, there’s no actual improvements to the journey whatsoever. Interestingly, I started at the other end of the plans and stopped at the same point. My impression could not have been more different. I cycle along the Oxleas Road – Rossetti Road section (the estate on the old Bricklayers Arms goods yard) most days and Southwark’s plans remove most of the annoyances and even include some nice innovations (anti-motorcycle humps! http://www.aviewfromthecyclepath.com/2011/11/speedbumps-on-cycle-path.html). That said, the Eastern half of the route is on much quieter streets, many already closed to through traffic. 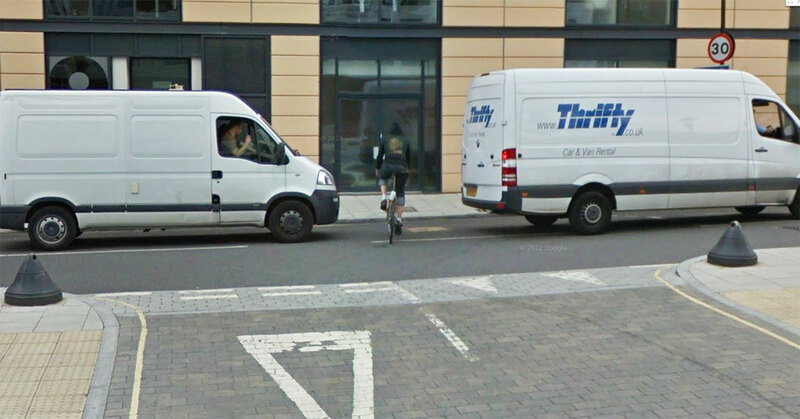 It is a shame Southwark don’t seem willing to take cycling seriously in busier areas. As you say, LCN by another name. Anti-motorcycle bumps in the Netherlands are not exactly common. We manage to see two pairs on the last day of the the study tour. This requires going on a bit of a detour. In the entire seven years that we’ve lived in the Netherlands I don’t think I’ve come across so many bumps as the 41 in just 2.4 miles which are proposed here. This is one of those “lost in translation” issues. Yes, bumps to slow motorcycles are quite a good idea, and they’re effective. But… they need to be very well engineered and they need to be rare. On the first point, we don’t know yet about London’s plans, but on the second point they’ve failed already. Still… I of course hope your optimistic takes turns out to be accurate. London certainly needs better infrastructure. I’m tempted to do Southwark’s work for them, and show how they could get a better result for less money. Seems like what they’re doing on this section is spending money for no result – that’s not good value! As an aside, I understand Lewisham reckon it will take them until late 2016 to sort out their end. Yeah, obviously the designers team should have cyclists among them to bring these projects down to earth. This stuff looks like an exercise in playing with drawings without any real understanding of the users’ viewpoint. Where has the old wisdom of “keep it simple” gone? Or maybe some secret sinister plot to discourage cycling is at work?